Join us at the Fall Leadership Council Workshop in Alexandria, VA! Please stay tuned for the full agenda, coming soon! Sign up for the following optional events (in italics) with your registration. Registration includes dinner on Friday, September 14th and lunch on Saturday, September 15th. 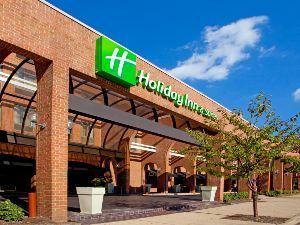 Breakfast is included with your reservation at the Holiday Inn & Suites Alexandria--Old Town. 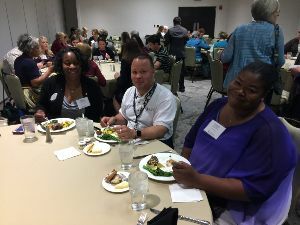 EXTENDED: Make your reservations with this special link by August 29th to receive the AAFCS discounted rate of $129 (plus taxes and fees), including breakfast! Please note: when you click on the link, the page may tell you the code does not exist. If so, please change the dates of your stay to begin on the 14th and it will work! To book: click on the above link and use the drop down arrow on the right of the booking screen –> Change Search and select your dates! You may also make reservations over the phone by calling 1-877-504-0047. You must refer to the specific group code FLC to receive the AAFCS discounted rate! The closest airport to Alexandria is Reagan National Airport (DCA). (5-10 minutes with no traffic) National is served by Air Canada, Alaska Airlines, American Airlines, Delta, Frontier, jetBlue, Southwest, and United. The Holiday Inn has an airport shuttle to Reagan National. It runs every half hour. Dulles International Airport (40 minutes without traffic)and Baltimore/Washington International Thurgood Marshall Airport (1 hour without traffic) are also within driving distance and are served by more airlines. If you're driving in, overnight parking in the Holiday Inn garage is $10 for AAFCS attendees, and daily parking is $8. Discussion of affiliate financial management, bylaws and policies, branding and communication tools and more. Time to “ask the experts” your burning questions and get advice from each other as peer affiliate leaders. Attendance optional--please select this item when you register so that we have an approximate count of attendees. Saturday Night: "Capitol Steps Political Musical Satire"
Join fellow attendees and head into Washington, D.C. for a show from The Capitol Steps, D.C.'s famous political satire singing group! Depending on the size of the group, we'll travel by Metro, cab, or rideshare--transportation fees should be less than $10 and will be determined after registration closes. AAFCS Professional Certification Exams will be held on Friday, September 14th from 1:00pm-4:30pm. We will be offering the CFCS, CFCS-HDFS, CFCS-HNFS, CPFFE, and CNWE exams. You may register for an exam with your Leadership Council Workshop registration. To add an exam to your registration, contact us at certification@aafcs.org. All certification exams are offered at the discounted on-site rate of $95. 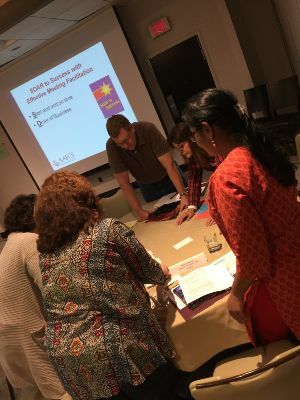 Take a look at all the fun, interesting, educational and cultural events happening in Alexandria and Washington, D.C. over the weekend of the Leadership Council Workshop! Come early or stay late to explore both cities. Plus--check out the restaurant listings in Alexandria--the Holiday Inn shuttle will bring you over to King Street and the trolley can bring you all the way up and down Old Town's main drag! Featured: the National Building Museum has an exhibit called Making Room: Housing for a Changing America, that's particularly relevant to FCS professionals! With limited exceptions, due to medical or family emergencies, only refund requests emailed or faxed by September 7th, 2018 will be considered. Refund requests must be made in writing by email to staff@aafcs.org or by fax to 703-706-4663. A cancellation fee of 20% of the workshop registration will be assessed for refund requests. If you are unable to come to the workshop, alternatively, your registration fee (minus the 20%) can be considered a donation to the Goebel Young Leadership Development Fund. Please let us know if you are choosing this option when alerting us that you will be unable to attend the workshop. Ticket purchases cannot be refunded nor considered a donation. AAFCS has a ZERO TOLERANCE POLICY for harassment of any kind. If a person engages in harassing behavior, AAFCS staff will take prompt action in any form they deem appropriate, including expulsion from the Fall Leadership Workshop with no refund. Our policy applies to EVERYONE at the workshop. All attendees are subject to our anti-harassment policy and will be held to the same standards and disciplinary action. By registering for the AAFCS Fall Leadership Workshop, attendees hereby agree to allow AAFCS to use any photos taken of them during the conference in news media, social media, website, publications, articles, marketing pieces, etc.